69 career catches, 1082 career yards, 11 career touchdowns, averaged 15.7 yards per catch on my career. As a player, coaches would say that I’m a big physical receiver who attacks the ball, finishes blocks, and does a great job of creating separation. They would also say that I am willing to do the hard work that others shy away from. Always ready to make a big play when my name is called. As a teammate, they would say that I’m an unselfish supporter who is also willing to make sacrifices for the best result for the team. When I look at film I try to focus mainly on any bad habit that I notice that needs to be broken. I do my best to make sure that it’s corrected on the field the next practice so that the next film session I can focus on something else. I feel like I have a better balance between dominance and unselfishness than other players. Of course every receiver’s goal is to dominate their opponent with the ball in their hands, but I will work just as hard even when I know it’s not coming to me and I have to get a teammate open. 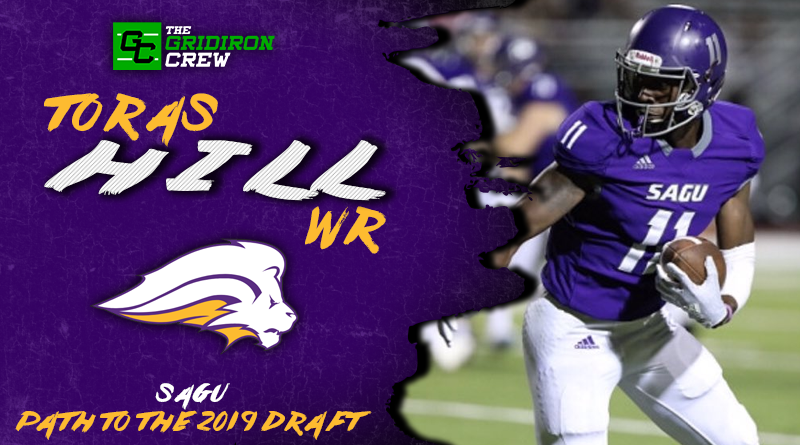 I will be training with my Wide Receiver coach from SAGU. Coach G has played Division 1 football and also had his opportunity at the next level. He’s been where I am now and has seen everything I’m about to see, so I felt that it was best to train with him. I am a player who leads by example and who lets their game speak for itself between whistles. I do my best to find a common ground with my teammates. I try to let them know what I’m looking for from them and find out what they’re looking for from me, so we can all be on the same page as much as possible. With me, you will get a player who understands there is no room for complacency. You will get a player who will grind like his job is on the line day in and day out. Most importantly, you will get a player who just refuses to quit.